I’m in Ohio today, talking about legal ethics with a large law firm, and the discussion there turned to the difficult problem of the lying criminal client. Here is a post on the topic from the early days of Ethics Alarms, slightly updated, and the disturbing thing is that we are no closer to finding a satisfactory and ethical solution to the problem. What do you do when your guilty client wants to claim he’s innocent in the witness chair, under oath? Anyone who approaches this topic should do so knowing he or she will make no dents in the issue, which has bedeviled lawyers, philosophers, professors and theorists for centuries. It is a good example of what some people hate about ethics, and why they prefer rules and morality: there is no clear solution, only a collection of alternate, flawed solutions with half-good arguments behind them. So just make a rule, already, and stick to it! The problem with that approach, however, is that no rule makes sense in every case. Anyone accused of a crime has a constitutional right to a defense. Because the burden of proof in the United States is on the prosecution to show guilt beyond a reasonable doubt, the job of the defense attorney is to challenge and test the prosecution’s theory of guilt even when the accused is in fact guilty of the crime. The defendant not only has to be found guilty, he or she has to be found guilty for the right reasons, of the correct crime, using legally acquired evidence, with all the defendant’s rights as a citizen respected and protected, in a fair trial. A criminal defendant has the guaranteed, Constitutional right to testify in his or her own defense. No one else does. A lawyer who knowingly allows a civil defendant or any witness to give false testimony without taking remedial action can be disciplined and even lose the right to practice law. A lawyer who doesn’t allow a criminal defendant who insists on lying under oath to claim his or her innocence on the stand will be also be disciplined in many jurisdictions. An attorney is absolutely prohibited by the legal profession’s ethics rules from knowingly assisting a client, including a criminal client, in illegal or fraudulent conduct. Everything a criminal client tells an attorney in confidence for the purpose of developing a legal defense is privileged, which means it may not be divulged in court or anywhere else. This includes the words, “I am guilty as hell.” The lawyer may not say or do anything that reveals the privileged information. Lying under oath in one’s own defense is illegal. The attorney must allow the defendant to testify, but the attorney cannot “assist” him in testifying. If the attorney refuses to examine the defendant on the stand, which is assisting him, then the attorney signals to the judge and the jury that the defendant is lying. If the attorney acts in a manner that shows that the client is lying about his innocence, than the attorney has revealed the substance of the client’s confidential communication that he is, in fact guilty, a violation of the attorney’s duty of confidentiality, the foundation of the attorney-client relationship. In other words, whatever a lawyer in this situation does, it will violate the ethics rules, the rights of the defendant, or the United States Constitution. The profession, filled as it has always been with clever people capable of making words and concepts do tricks, has devised various schemes to deal with this. One of the most popular is to imagine it away. The attorney only has a problem if he or she “knows” the defendant is guilty, so many lawyers employ an extreme version of the word “know” that would be alien to any other profession. These lawyers argue that they never can “know” that a client is guilty, even if he confesses. False confessions are common, they argue. Who knows if the client is confused, or only partially telling the truth? The definitions in the American Bar Association Rules of Professional Conduct say that “know” means actual knowledge. Well, we only have “actual knowledge” about what we have personally witnessed, right? Lawyers who get in the habit of reasoning this way thoroughly corrupt themselves; indeed, one of the dangers of the Lying Defendant problem is that many of the “solutions” lay the foundation of other unequivocally unethical practices. This definition of “know” would mean that we don’t know that the world is made up of atoms, that the Civil War was fought or that the sun will rise tomorrow. It’s a useless definition, except in the unique circumstance where it is inconvenient to behave as if you know what you really do know. Furthermore, the Rules also say that “actual knowledge” can be inferred from the circumstances. Playing Clintonian games with the word “know” (and where do you think lawyers Bill and Hillary learned this?) is not the solution. Another popular, and related, way to try to avoid the issue is for the lawyer to make sure a criminal client never tells him or her whether or not he is guilty. This theory is that a lawyer who is never told, never will “know.” In a memorable episode of the old TV drama “L.A. Law,” a defense attorney who is suspicious of a criminal defendant client that appears to be as sinister and guilty as they come, warily asks him if he intends to lie when he takes the witness stand to proclaim his innocence. The wily defendant answers that everyone would be better off if the lawyer doesn’t know the answer to that question. Gee, I guess the lawyer was completely in the dark after that answer, right? It is ridiculous: there is no chance at all that an innocent client not intending to lie on the stand would ever give that answer. Under the circumstances, it is indistinguishable from, “Yes, I will lie my head off.” It is much the same with telling a guilty defendant, “Don’t tell me!” If the client is innocent, he will want to tell his attorney, he has the right to tell his attorney, and he should tell his attorney. If the client agrees that “everyone will be better off if I don’t tell you,” well, he’s guilty, and the attorney knows it. It gets worse. Clients are supposed to tell their attorneys everything relevant to their representation. It defies logic to pretend that a criminal client benefits from not telling his attorney the most relevant information of all—whether or not he actually committed the crime he is accused of—unless the attorney is intentionally making it possible for him to lie in trial. If that is why the attorney doesn’t want to “know,” then the attorney is “assisting” his client in committing the crime of perjury. You just can’t get there from here: a lawyer is going to know whether his or her defendant is guilty unless the client consistently proclaims his innocence, has a plausible story to tell on the stand, and his lawyer has reasonable doubts about his guilt as a result. In that case, the defendant’s attorney really won’t “know” that the defendant is lying, and there is no problem. When the lawyer does know, the accepted options are few. First of all, the attorney is required to explain to the client in the most emphatic terms how risky and stupid lying on the stand is. This includes telling the client one of the three “remedies” lawyers with lying criminal clients have to follow, depending on the jurisdiction. The first is telling the judge that the lawyer has to withdraw from the representation, without saying why because saying why would violate the attorney-client privilege. This, of course, has the result of letting the judge know that 1) the defendant will be lying, and that this means that 2) he’s guilty, and thus the “solution” violates the lawyer’s duty of confidentiality anyway. 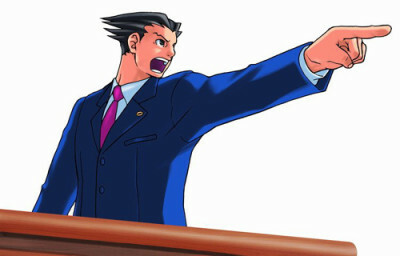 The other option, favored by New York, California, Washington, D.C. and others, requires the attorney to let his or her client testify in narrative fashion, asking the defendant to tell his (fictional, perjurious) story without the assistance of questions, prodding or framing by the attorney. Then the attorney cannot use the defendant’s lies in the closing argument. Since attorneys only behave like this when their criminal defendant clients insist on lying under oath, this “solution,” like the first, also has the effect of alerting everyone that defendant is guilty of both the crime being tries and perjury. When I was in law school, the writings of legal ethicist Monroe Freedman were used by ethics professors to illustrate what they believed was the “dark side” of the law. Freedman took the controversial position that of the options available to the defense attorney in the Lying Client scenario, an unexpected one was, all things considered, the most ethical of a bad lot: go ahead and treat the lying client as you would a truthful one, and examine him on the stand like any other. His argument: if an ethical obligation has to be surrendered, better to leave intact the core duties of zealous representation and protecting confidences, as well as the right of a defendant in a criminal trial to testify, and sacrifice the duty of honesty to the court. At the time, Freedman’s argument seemed to endorse unethical conduct, but I am beginning to see the wisdom in his approach. I would argue that a lawyer still must not coach a client in how best to present a false story, and I think there is no way the lawyer should use perjury in his or her argument to the jury. However, examining a lying client like any other holds more integrity, perhaps, than the lawyer pretending not to “know” what he or she does know, or pretending not be revealing the fact that the client confessed his guilt when using the narrative approach does exactly that. A consequence of the terrible options faced by the attorney with a criminal defendant who wants to lie on the stand is that the lawyer’s warnings that it won’t work are usually persuasive. Not many guilty clients take the stand to lie. Freedman’s solution may be more ethically direct, but it has the disadvantage of making defendant perjury more effective, and thus harder to discourage. This definition of “know” would mean that we don’t know that the world is made up of atoms, that the Civil War was fought or that the sun will rise tomorrow. It’s a useless definition, except in the unique circumstance where it is inconvenient to behave as if you know what you really do know. But, having said that, I have had clients I did not believe, but I did not know if they were telling the truth. There was even a criminal defendant who had a hard to believe story (he got convicted in about 20 minutes), but he clearly and consistently maintained his innocence. But, I do not think it is a useless definition generally, I do not live my life according to the Rules of Evidence, but, when dealing with human interrelations, they can often be very useful (even in real life). Another popular, and related, way to try to avoid the issue is for the lawyer to make sure a criminal client never tells him or her whether or not he is guilty. There was also an episode of Rumpole of the Bailey that dealt with this issue (Rumpole and the Alternate Society). Rumpole would have dropped the case had his client not changed her plea to guilty. I was thinking of that too. It’s what’s taught in Australian Law schools. I recommend watching this. I recommend watching the whole series, in fact. Slightly off topic (well, just the topic of the intro) but welcome to the midwest. Flat, isn’t it? I like this issue (although I am glad that I don’t actually have to deal with it). In fact, I think investigating it may have brought me to Ethics Alarms (or was it the Scoreboard?) in the first place. Personally, I think I would drop the client. It would telegraph my client’s guilt to the judge and jury but I think I would have a duty not to deceive the court. Are there other reasons why a lawyer might drop a case that could provide “cover” for this decision? Perhaps it is a lucky thing that I am not a criminal defence lawyer. The wily defendant answers that everyone would be better off if the lawyer doesn’t know the answer to that question… It is ridiculous: there is no chance at all that an innocent client not intending to lie on the stand would ever give that answer. Actually, it could very well happen under special circumstances. For instance, a regular and frequent defendant, or a very stubborn one, having learned of this issue, might do so precisely in order to muddy the waters; he would not be expecting justice at the hands of the court but gamesmanship. Muddying the waters destroys chains of inference more generally, so that (say) it would be less safe for a judge or others to infer guilt from a lawyer’s withdrawal (after all, the client was generally unco-operative, which might also have prompted the withdrawal). That was slightly idealised; however, lawyers are just such regular and frequent attenders of courts. They should randomly use narrative testifying for defendants regardless, precisely in order to destroy the inference that such testimony means guilt. You have not discussed the historical solution of only allowing defendants to give unsworn statements and evidence. It would seem here-in lies a flaw in our justice system overall. By stating that there is a hidden secret bat-signal that lawyers can give judges such as refusing to cross examine, or withdrawing — both of which may have perfectly legitimate reasons aside from the person is automatically guilty; is a flaw injected into this system which I could place high in culpability on the convictions of innocent people. One must be found guilty based only on fact — not on circumstances that happen to occur with contracted labor — essentially what a lawyer is in a nutshell. I would suggest, eliminate the secret bat-signal program from the equation, and all becomes clear. Lawyers can free themselves from clients at choice without tainting the impending verdict. At first I wanted to say the kink in the system comes with allowing a defendant admit guilt while still demanding the lawyer defend his/her innocence in court. It seemed to me that the objective of the justice system is to determine guilt or innocence, and that an *actually* guilty defendant, admitting guilt at any phase of a defense, should end the entire ordeal. A defendant insisting on innocence, ought to keep their story in line with that plea through the whole process. The entire process is violated by an *actually* guilty defendant admitting the guilt but insisting on an not guilty plea anyway. Initially it seemed to me that an exception would need to be made for such instances, essentially forcing a lawyer to severely advise the defendant: “If you with to move forward with a not guilty plea, you cannot admit guilt during any of our discourse…etc etc, otherwise, I will insist that you admit guilt to the court…etc etc, if you choose not to, I cannot for the sanctity of the court continue to argue your innocence…etc etc”. When I vetted that exception in my mind, it came to one of the primary points of the judicial process, that is: the system is meant to protect the innocent from false conviction. Were that exception to be allowed as a means for a defense counsel to protect the sanctity of the system and ensuring the *actually* guilty are found guilty, the connection is then made between the defense counsel as an agent of the prosecution. Whether or not it would happen, the possibility of gross (and easy) corruption exists — an unpopular defendant (who in this hypothetical is innocent) would merely need a counsel sympathetic to the passions of the people to say “my client admitted guilt”; then the client would of course deny it, but the denial would never be trusted. So, in the final analysis, there seems to be no way to fix the ‘kink’ in the system that allows an private admission of guilt to change the objective of the defense that does not also allow for the actually innocent to have any trust in the system to protect them through due process.